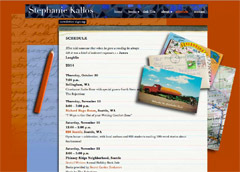 We think Tom got some angst worked out smashing plates for Stephanie Kallos’ new author website. 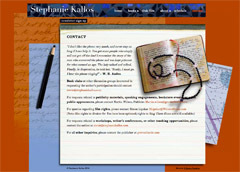 Stephanie was looking for a site that featured her books but was also about her. 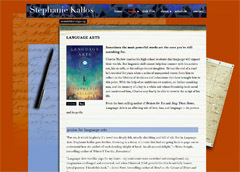 Her new site is rich with style in imagery and language which are uniquely Stephanie Kallos’ vision. If you are hungry for more, you gotta read her books! We designed this site in 2009, and re-built it using WordPress in 2014.